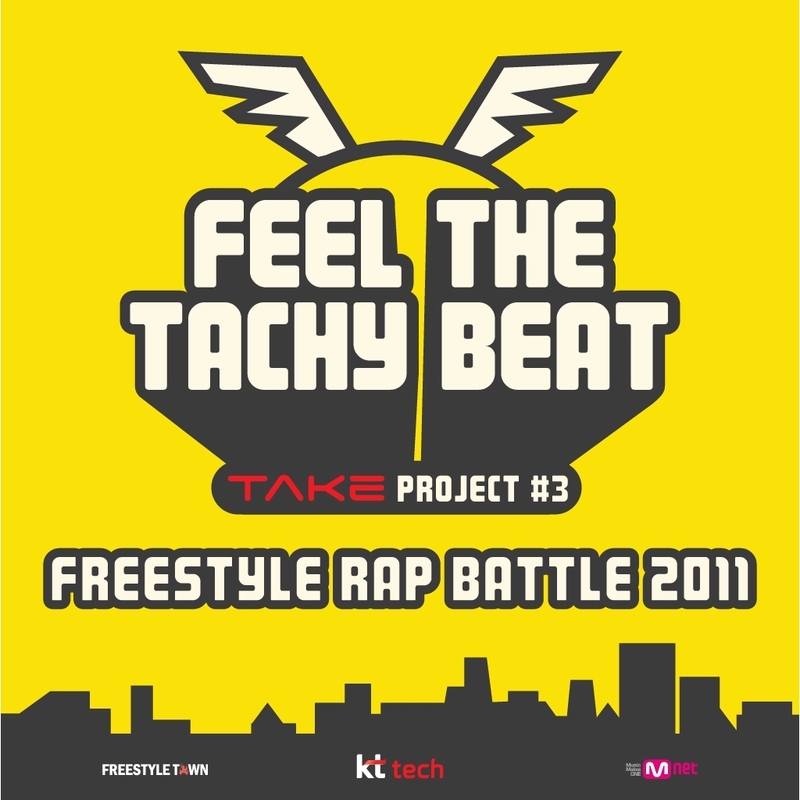 Smartphone TAKE’s third project, the ‘Feel the TACHY Beat‘ is a single featuring TAKE TACHY freestyle rap battle 2011 champion ZIZO and hip-hop artists Paloalto, San E, Ultima, L.E.O, and DJ IT. The beat is produced by The Quiett. Check out the cypher/MV below! This entry was posted in Album Release, Free Music, Videos and tagged dj it, feel the tacky beat, freestyle town, paloalto, san e, The Quiett, ultima, zizo. Bookmark the permalink.